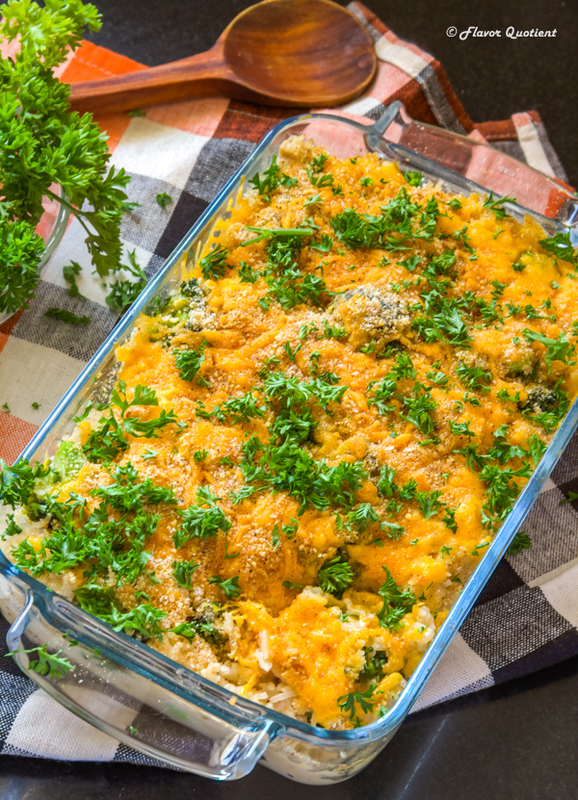 I call this cheesy chicken broccoli and rice casserole a one-pot-wonder! It’s hearty, delicious, easy and a crowd pleaser! What more do we want! I have always been attracted towards the rice casseroles and was so keen to make my version, but something or the other always pushed it down the priority list! Finally, after the overload of broccoli, thanks to our recent trip to Ooty, I was determined to make this cheesy chicken broccoli and rice casserole as soon as I get back home! Yes, it did finally happen and I am now more awed than before after tasting it myself and am convinced why casserole dishes are so popular worldwide! 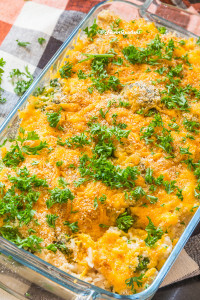 My cheesy chicken broccoli and rice casserole became an instant family favorite with even my somewhat choosy father-in-law getting hooked to it which was a real surprise. 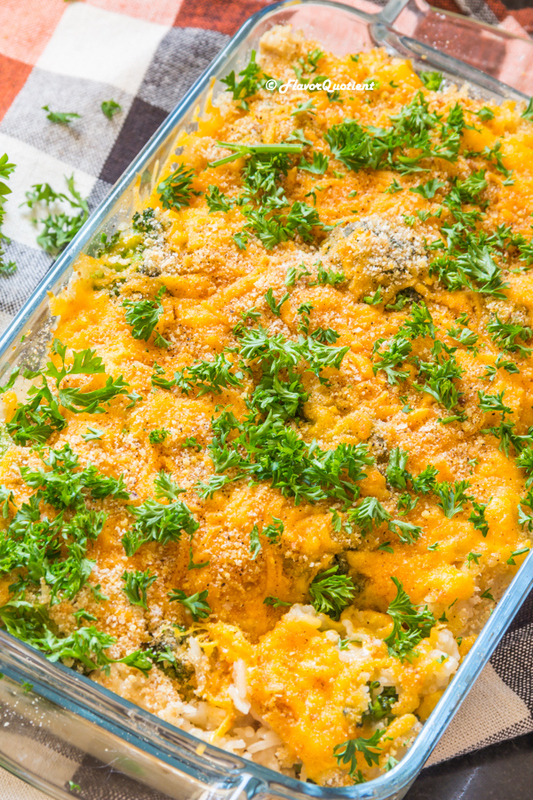 Casseroles are quite different from typical Indian dishes and are generally loaded with cheese which is why my hub was being the constant obstacle between me and my ever-wishing cheesy casserole the reason being too obvious – I love cheese and he doesn’t! Melting cheese is not a regular ingredient in Indian cooking which is why I wasn’t sure how it would be accepted in the family. But this rockstar did surprise me and became the show-stopper on our weekend lunch! Cheesy chicken broccoli and rice casserole is, I feel, the simplest of all casseroles and I wanted to start from the basic. It’s very simple to put together and you can add more layers to it to create different versions. For example, you can add some sliced button mushrooms which will add more depth of flavor. You can even add more colorful veggies like carrots or green peas to load it more with nutrients and your picky kids will not even notice them. They will just be happy with the melting cheese and succulent chicken cubes! 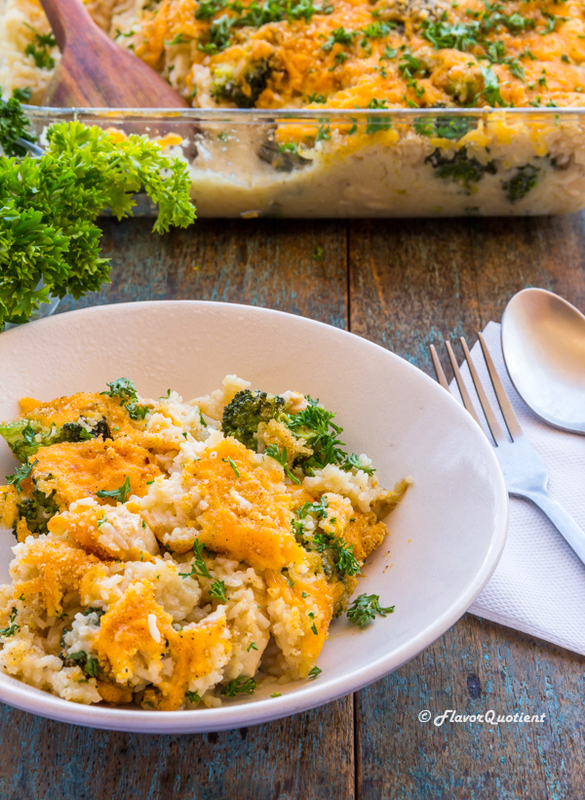 This cheesy chicken broccoli and rice casserole is not only a kid friendly dish, it’s even great to feed a crowd. If you are thinking of hosting a weekend brunch soon, then I urge you to give this a try. You can even make it ahead by completing everything except the baking step. Just before you are ready to serve, sprinkle the cheese and pop it into the oven for about 30 minutes and get ready to hear your guests cheering for your amazing culinary skills! You are welcome! The combination of chicken and broccoli is a match made in heaven. It is incredibly delicious in this cheesy casserole and equally scrumptious in the saucy chicken and broccoli stir-fry. You can take your pick, but for me both are winners! Picking either of the one would be equivalent to choosing between your own children which is simply next to impossible. The stir fry has crunchy goodness whereas the casserole has the gooey melting moments both tasting just out of the world! 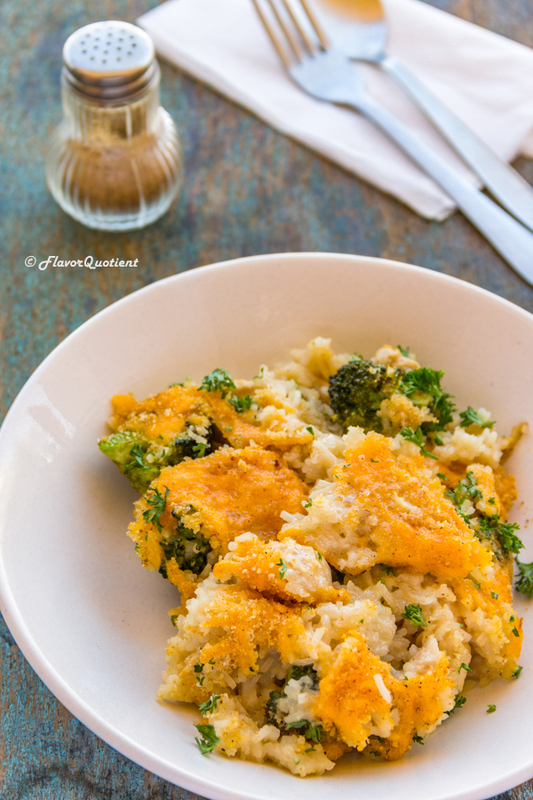 If you too have the overload of broccoli like us, make both the dishes – cheesy chicken broccoli and rice casserole and chicken & broccoli stir-fry – back to back and don’t forget to let me know which one turned out to be your family favorite! Wait, are you also a seafood lover? Then do check out my shrimp & broccoli stir-fry too for worthy use of those fresh broccoli and get more confused to choose the best of the lot! Veg lovers, do not worry! I have my super popular easy cheesy broccoli pasta bake for you which is nothing shorter in flavors than its meaty counterparts! Heat the olive oil in a skillet. Once the oil is hot, add chopped onion and saute until translucent, about 3 to 4 minutes on medium heat. Add the minced garlic and keep sautéing for couple of minutes more. Add some salt and pepper and give a good stir. Next add the chicken cubes and fry them until they develop some color and are completely opaque. This would take about 6 to 8 minutes on medium flame. Now add the drained rice and sauté for a minute or two. Then add the chicken stock and heavy cream. Mix everything well with a light hand. Once the liquid comes to a boil, simmer and cook uncovered for 15 minutes. After 15 minutes, more than half of the liquid should have been absorbed. Then add the broccoli florets and combine everything. Preheat your oven to 200 C / 400 F and set the wire rack at center of the oven. Transfer the chicken, broccoli & rice mixture to an oven-proof baking dish and distribute evenly. Now sprinkle the shredded cheddar cheese uniformly on top. Finally sprinkle the breadcrumbs and season lightly with salt & pepper. Bake the rice in the preheated oven for about 30 minutes or until the cheese is fully melted. Serve hot! Can Glass containers be used at OTG? Will not it break? Nope! These glass bakewares are specially made for ovens. They are very thick compared to regular glasswares. Glass bakewares retain heat better than the metal ones and doesn’t react to acidic items.